Dubai-UAE: Dubai Wholesale City, the largest wholesale hub in the world, has commenced accepting applications from companies and traders interested in booking space at the integrated development. The city is working towards strengthening the status of the UAE as a key market in international trade. Dubai Wholesale City has invited interested companies and traders to submit their applications for lease via its website (dubaiwholesalecity.ae), by email (sales@dubaiwholesalecity.ae) or in person at its stand (Dubai Holding, TECOM Group, S1-E10) in Hall 1, during its participation at Cityscape Global 2016 that is set to run from September 6 to 8 at Dubai World Trade Centre. Belhoul reiterated Dubai Whole Sale City’s credentials as a wholesale hub of choice that offers a competitive and attractive investment opportunity. The destination is the perfect fit for a range of development projects, and is also targeting retailers keen to expand into wholesale and increase their investments within the GCC region. Interested companies and traders can also submit application forms on the Dubai Wholesale City’s exclusive website. In addition to providing wholesale traders with comprehensive offerings such as state-of-the-art infrastructure, integrated solutions, and a platform to connect, Dubai Whole Sale City will also extend support services, such as cargo, customs, insurance, finance, waste management and industrial hygiene, guaranteeing high operational efficiency and ease of doing business. The largest wholesale development is also strategically located with links to Al Maktoum International Airport, Jebel Ali Port, all major highways and the future Etihad Rail, connecting it to all four major means of transportation, making it a location of choice. During Cityscape Global 2016, Dubai Whole Sale City will showcase three designated areas including its specialised wholesale avenues, cross-docking facilities and specialised wholesale markets, offering visitors a first-hand experience of the city’s enhanced proposition. Dubai Wholesale City is a fully-integrated trading hub that aims to meet the needs of the local and international wholesale trading sector. The destination is projected to emerge as the world’s leading wholesale trading hub and strengthen the UAE’s position as a pivotal market in global trade. Dubai Wholesale City is the largest global market for wholesale products. The development will be a major hub for international wholesale trade. The project will also support vital sectors such as logistics, financial services, aviation, hospitality and business tourism. Dubai Wholesale City spans over 550 million square feet encompassing the current location of Dubai Industrial City, which will become an integral part of Dubai Wholesale City. The new project is just 10 minutes away from Al Maktoum Airport and Jebel Ali Port and will be linked to the future Etihad Rail. Dubai Wholesale City will comprise of specialized wholesale parks, an international permanent trade exhibition, specialized wholesale avenues, country pavilions and an e-commerce platform. It will focus on wholesale trade in a number of vital sectors including food, construction materials, electrical appliances, electronics, furniture and décor, machinery, equipment, wood, vehicles and spare parts, and textiles and clothing. TECOM Group, a member of Dubai Holding, is a strategic business enabler contributing to the realisation of Dubai’s economic aspirations by creating sector-focused communities and thriving work environments that enable business success. TECOM Group’s 11 business communities reinforce Dubai’s position as a global hub for business and commerce, and have attracted companies and talent from around the world including industry leaders such as Google, CNN, DELL and Unilever. Covering seven vibrant industry sectors, TECOM’s business communities offer a home in the region to over 5,100 companies ranging from start-ups to multinational corporations employing 76,000 creative workers. TECOM Group is a committed partner in the government’s efforts to transform Dubai into a global business hub, the smartest city in the world, the capital of the Islamic Economy, and is in full alignment with Dubai 3D printing strategy and the Dubai Plan 2021. TECOM Group’s 3D printing initiatives include International Centre for 3D Printing in Dubai Industrial City, and a prototyping lab and incubation center for designers and creatives at Dubai Design District (d3) with a 3D printing area that features a state-of-the art machinery and training courses and workshops. In addition, the Group is allocating part of its planned start-up fund, which will invest seed capital in early stage ventures, to 3D printing. The Group has been a major catalyst for Dubai’s development into a knowledge-economy, and is now a frontrunner in delivering the government’s Innovation Strategy, championing the growth of start- ups and small firms as well as the Emirate’s service sector. TECOM Group’s free zone business communities feature purpose-built facilities and industry-specific infrastructure. These include Dubai Internet City, Dubai Outsource City, Dubai Media City, Dubai Studio City, Dubai Production City (formerly International Media Production Zone), Dubai Knowledge Park (formerly Dubai Knowledge Village), Dubai International Academic City, Dubai Science Park and Dubai Design District (d3). 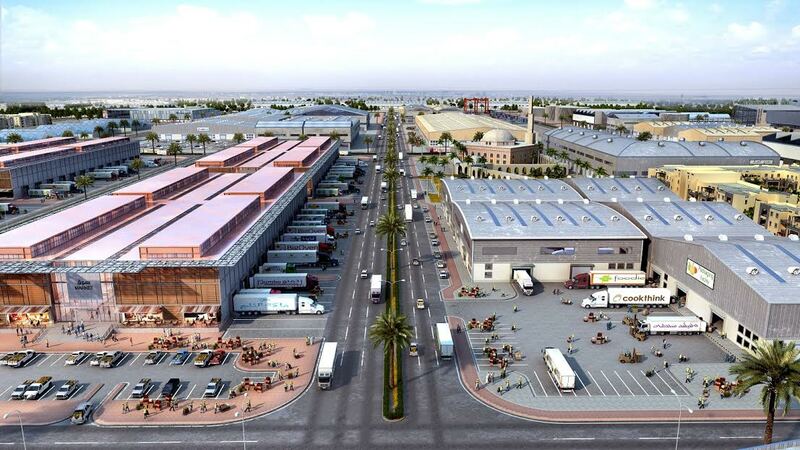 Dubai Wholesale City is the Group’s newest business community, and the region’s first integrated wholesale trading hub, which spans an area of over 550 million sq. ft. and was established to serve as a global one-stop shop for a wide range of wholesale products.